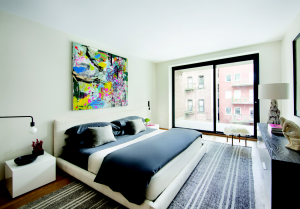 75 Sullivan offers a modern home base from which to explore SoHo’s boutiques, bistros, and bars. The site was originally zoned half-commercial, half-residential and went through a re-zoning process to allow the residential development of the lot. Lot was split R7-2/M1-5B zoning. The project entailed the demolition and removal of a one-story building, and the ground-up construction with setbacks. This project was completed May 2016. The Property contain 11 units of approximately 16,870 rentable square feet, with an average unit size of approximately 1,406 square feet. The top three floors have outdoor terraces on the front of the building. The site was originally zoned half-commercial, half-residential and went through a re-zoning process to allow the residential development of the lot with commercial space on the ground floor. Lot was split R7-2/M1-5B zoning. The project entailed the demolition and removal of a one-story building, and ground-up construction with setbacks of 8 story building. This project was completed May 2016. The building is currently occupied by two commercial tenants. Construction began April 2017, and should be completed by January 2019. The Hampton Inn Philadelphia Center City-convention Center is located off Interstate 676 East at the Broad Street exit and adjacent to the Pennsylvania Convention Center, in Center City. The Hampton Inn Philadelphia features 250 hotel rooms filled with amenities, such as an indoor heated swimming pool, a spa, fitness center and the hotel’s 3,500 square feet of meeting and banquet space. The hotel was completed in 2004 and was sold to a real estate investment trust in 2009 at a profit. P. Zaccaro Co., Inc Sells 200 Lafayette Street to the Kushners. Read more here. 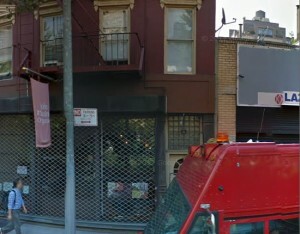 Worth Street and Chatham Square professional/commercial space.